Plane Saver is a not-for-profit financial cooperative, providing loans and saving products for members. It's always looking for additional ways to engage with existing customers, most of whom are in full time employment. Because of the volume of emails received, Plane Saver found that its comms could get lost in the daily stream, and so turned to SMS. 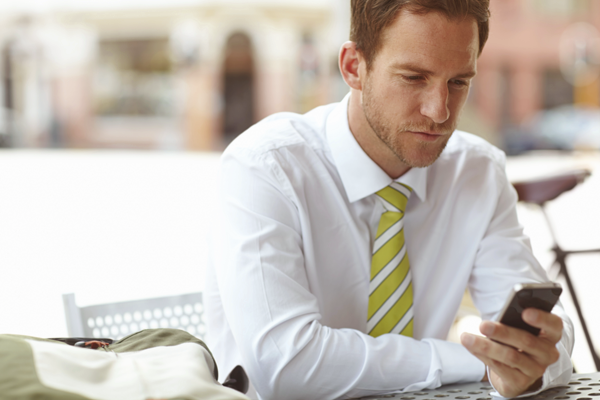 As these messages are always read on a mobile device, the recipient is able to instantly respond to a call to action. The loans team send out SMS when experiencing quiet periods, and always see increased activity when a message is sent. "We recently received negative feedback from an unhappy member; I was able to view which member it was and call him personally to discuss it further, resolving the matter immediately. He was so happy that I made the effort to call him back to see if there was anything we could do, and that wouldn’t have been possible without the survey. For what purposes does Plane Saver use SMS? Anything from welcome messages to members, updates as to the progress of loan applications, and promoting additional services. The example opposite generated had three responses in the first hour alone – all containing car loan quotes of £10,000+. If just one of these loan applications is successful, it pays for your SMS campaign for the year, let alone the month. 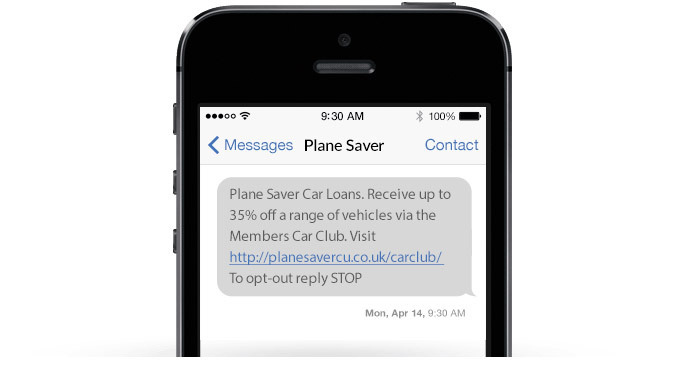 Plane Saver have automated the sending of a quick SMS survey after phone call interactions and capture feedback at the freshest point of action. Since launching the SMS survey, Plane Saver have obtained over 95% positive feedback, with one response stating: “the staff are very friendly and brightened my day”. "We feel an SMS allows us to instantly engage with members, using a short burst of information to get our clear message across." Plane Saver sends the message out a week prior to payday, incorporating tailored URLs. This allows the team to directly track clicks specific to that promotion, determining ROI. They also make sure they send it just before lunchtime on a weekday – then a) they're in the office and b) people can act on it if required on their break. When it comes to working with Esendex, the Plane Saver team are positive: "The more you use the system, the more familiar and easier to use it becomes, and phone support is always on hand to help if needed."